Is it okay to have cupcakes for breakfast? If you’re celebrating the holidays (all month long, like me), then yes, you absolutely can. 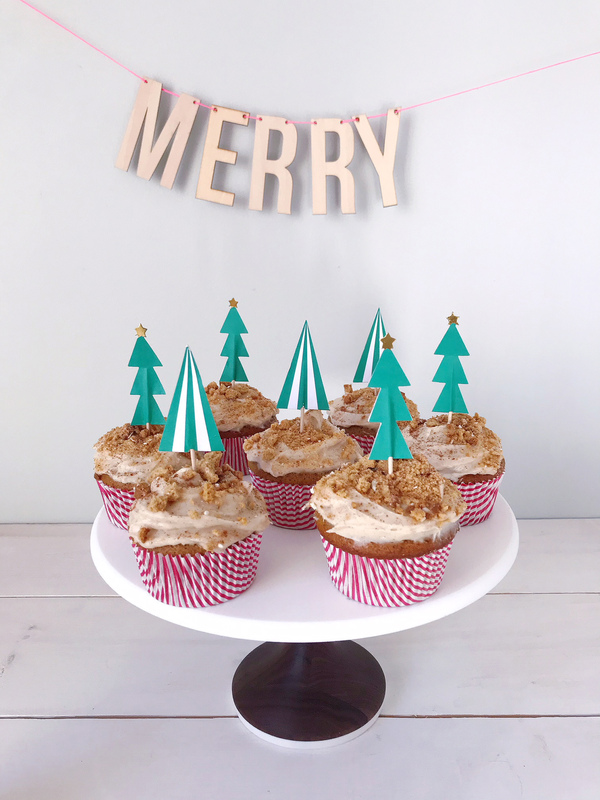 I’ve had a box of Trader Joe’s pumpkin bread mix in my cabinet for the past few weeks, and the other day when I was hunting for something to indulge my holiday sweet tooth I got an idea! I decided to make the pumpkin bread batter and bake it into muffin tins. It’s a sweet and spiced bread that came out nearly cupcake-like. Because I was procrastinating other important projects and deadlines, I decided that this was a perfect time to dress up the pumpkin muffins with a homemade cream cheese frosting. I made a quick and easy frosting using 3 tablespoons of softened butter, 8 0z of softened cream cheese, 1.5 cups of confectioners’ sugar, and a drop of milk. For flavor, I added in vanilla extract (about 1 tbsp) and a healthy portion of cinnamon (about 1 tsp) to bring out the spices in the pumpkin bread. 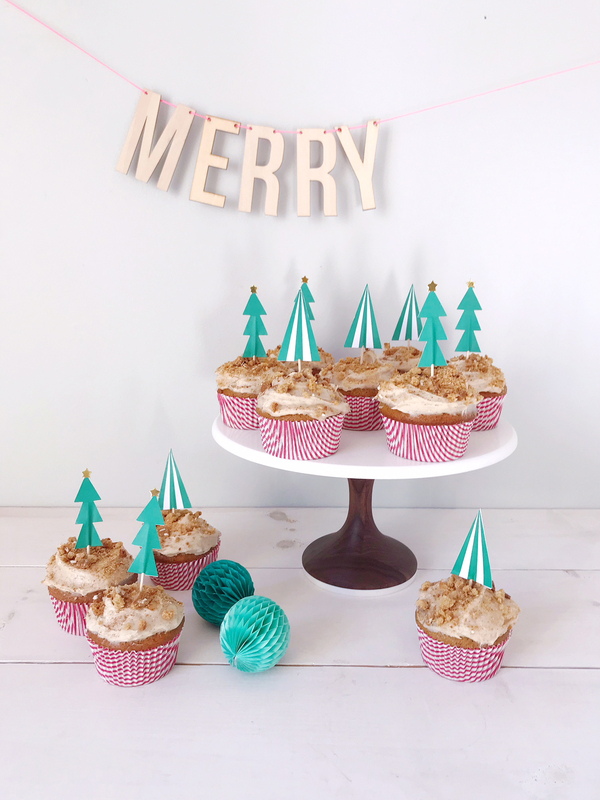 These pumpkin muffins made the full turn to cupcake-land with the addition of the rich cinnamon cream cheese frosting. Did I stop there? Of course not! 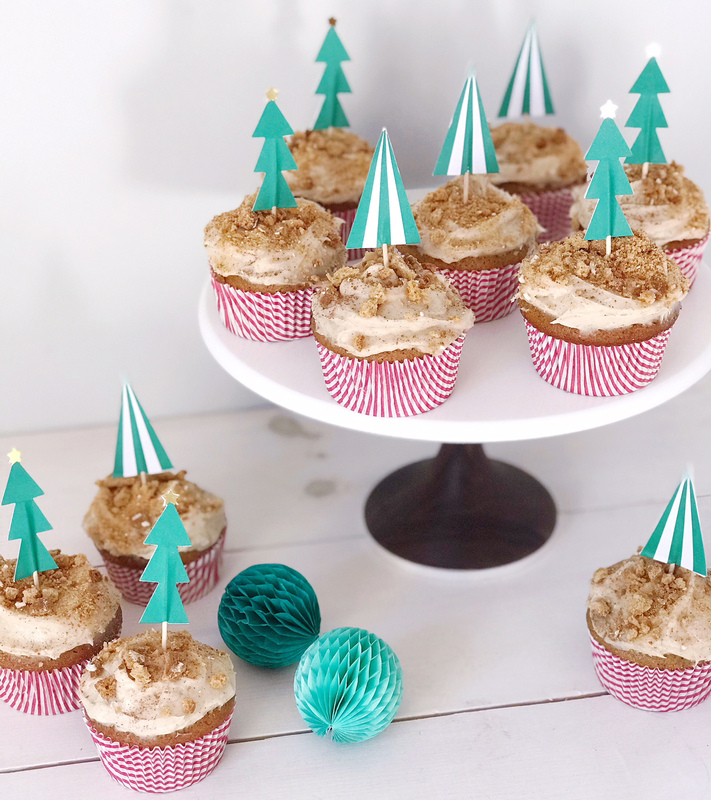 I pulled out some ginger snap cookie and crushed them in a Ziploc bag with my rolling pin for some crunchy ginger crumbles to sprinkle on top of the cupcakes. 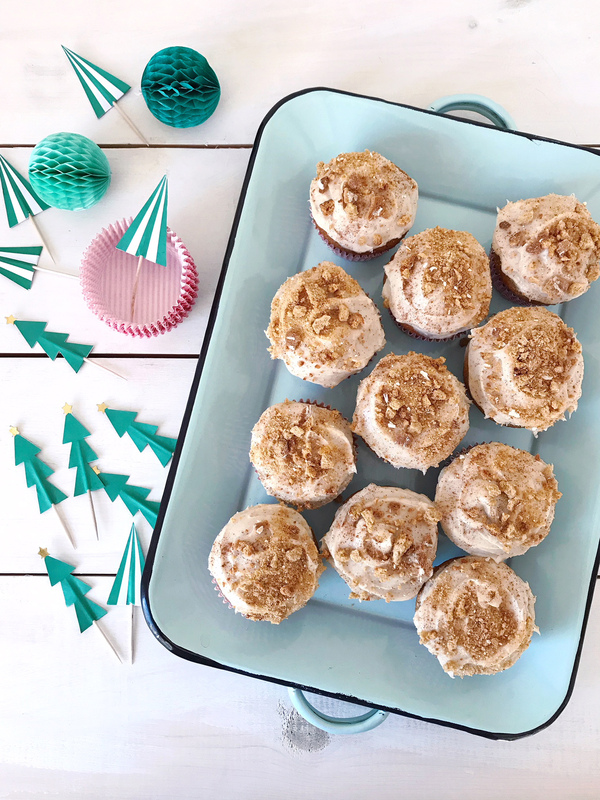 Upgrading a box mix of baked goods is one of my favorite ways to whip up quick semi-homemade treats at the holidays, and these will certainly be on rotation in my baking repertoire this season. 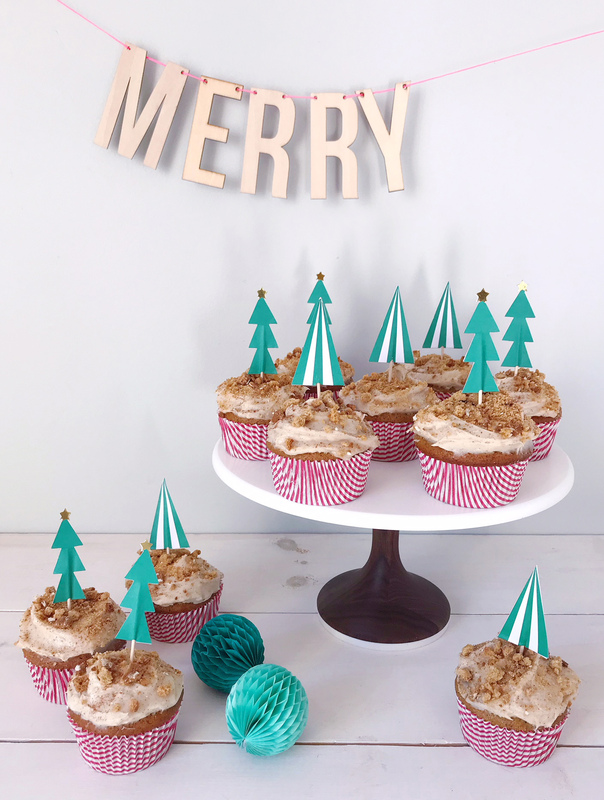 I displayed them with some Christmas tree toppers on my favorite Aheirloom walnut cake stand and they looked so festive. If you’re looking for a cake stand to add to your serveware collection, these are some of my favorites. The quality is amazing, they’re made right here in the USA, and the clean shape of the walnut cake stand always looks so sharp on my table. Head over to my Instagram page today to enter to win one: Instagram.com/domestikateblog. Hibernation Gifts. Happy New Year.